After missing top cut by losing my last round with a Lucario EX/Hammers deck during my first day of the Chicago Marathon to miss cut I began looking for different decks to play for the second day. In the early AM hours before the Romeoville City Championship I decided to break out a rogue Vespiquen variant that I have been testing on and off since Ancient Origins was released. Instead of using standard Vespiquen fare, such as Eeveelutions, Entei, or Night Marchers I paired Vespiquen with a new friend, Vileplume from Ancient Origins. After seeing the decks that were being played at the previous day’s city championship, I decided that a Vileplume variant could be a good play for the tournament. Most of the decks that people are playing in the Standard format are very reliant on Item based draw engines and can be completely shut out from a game if they are placed under Item lock on the first turn of the game. 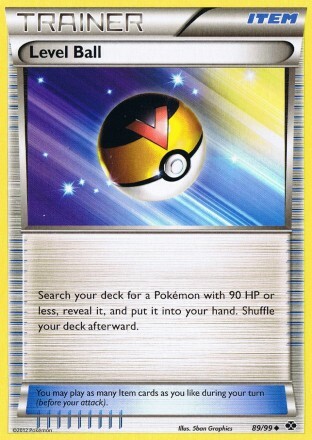 This is the logic behind the Vespiquen/Vileplume deck. The goal is to severely cripple your opponent’s setup with a turn 1 Vileplume while knocking out the few Pokemon that they are able to field quickly with Vespiquen. Being unable to play Items, your opponents usually can’t get many Pokemon benched and can be put under immediate threat of bench out, and being unable to use their Acro Bike, Trainers’ Mail, and VS Seeker (as well as Ultra Ball to search for a Shaymin EX) can cause them to dead draw and not draw into the Energy that they need to attack. 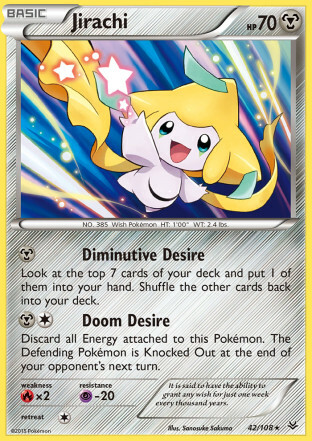 The general game plan with the deck is to draw through most of your entire deck on the first turn of the game and then end your turn by evolving into Vileplume. 4-4 Vespiquen – This is your main attacker and the only one in the deck that can do significant damage. You generally can power up three of these with ease, and can usually get a fourth setup to attack by using Rototiller for recovery later in the game, although in most games the three that are easy to power up should be more than enough to get you through the matchup. Sometimes getting the fourth can save a matchup, but if you need to recover for the fourth you are generally in a bad position and end up losing most of those games. 4-4-3 Vileplume – The thick Vileplume line really helped to bring together the consistency of the deck. Early builds that I tested had more traditional, thinner Vileplume lines and as a result the consistency of the turn 1 Vileplume was less than stellar. Making the Vileplume line so thick made it so that the turn 1 Vileplume was rarely whiffed. 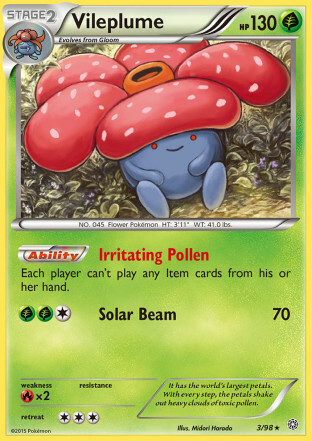 Making the Vileplume line so thick has no real negative effects on the deck because Vespiquen doesn’t care what Pokemon are sent to the discard pile to power up its Bee Revenge attack. Extra Vileplume pieces would be the first Pokemon that I would send to the discard pile after getting one of them (Oddish and then Gloom) onto the bench. I only ever tried to setup one Vileplume line on my bench in a game. 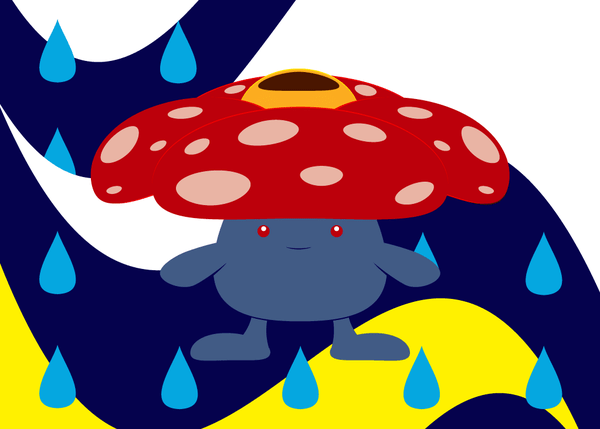 You only want one Vileplume on your bench because you don’t play enough Float Stone to support giving them free retreat, and it’s very rare that your opponent will be able to knockout a Vileplume, and if they do they’re leaving a Vespiquen with an Energy still on the field. 4 Unown – These are solid for additional draw as well as Pokemon you can send to the discard pile when you’re under Item lock. 4 Shaymin EX – As you are playing a Vespiquen deck there is no reason not to max out the Shaymin EX count in the deck as you can discard any copies that you won’t need with Battle Compressor. 1 Bunnelby – This gives you an option to recover Pokemon and Energy to continue attacking past what you otherwise could if you didn’t have a recovery option. 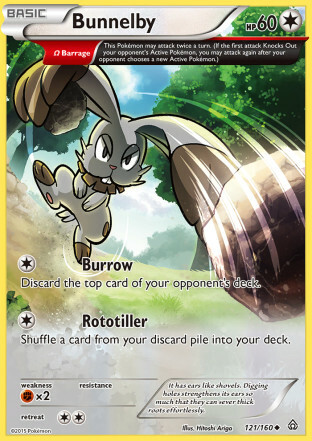 Additionally, Bunnelby gives you an extra win strategy by allowing you to deck out your opponent with burrow or swing a game by discarding key resources from your opponent’s deck. Trainer Engine – Most of the trainer engine should be self-explanatory. You want to draw through a lot of your deck on the first turn of the game, so you play Trainers’ Mail and Acro Bike for additional draw to let you dig for the Forest of Giant Plants early so you can start evolving all of your Pokemon. The deck does a pretty good job of not sending Vespiquen to the discard pile since you can evolve on the first turn of the game or immediately after playing down a Combee. The deck favors Ultra Ball as its heaviest search card because that gets the Shaymin EX which is important for getting everything going. The Level Balls are still very good, being able to search out your Oddish, Gloom, Combee, Vespiquen, as well as Unown to turn it into a draw card. 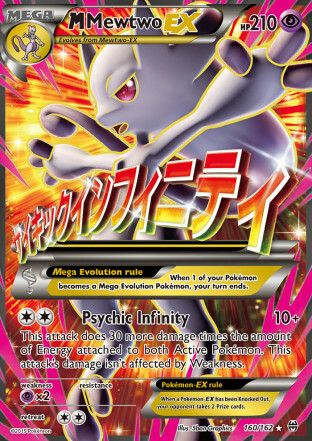 The three Professor Sycamore gives the deck good outs to finding one in the early game as well as giving you extras to discard stray Pokemon in your hand later in the game to boost Vespiquen’s attack damage. You always try to get one of your Float Stones onto your Oddish so that you can retreat it for free when it’s a Vileplume. You can still win games when you don’t get the Float Stone onto the Vileplume, but at that point a Lysandre on Vileplume can essentially become a win condition for your opponent. 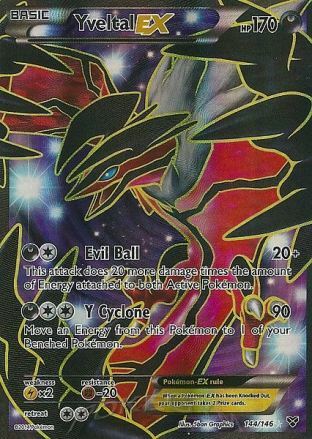 1 Red Card – As the deck is a turn 1 lock deck, a turn 1 Red Card before you evolve into Vileplume is very strong, especially if you go first in the game, and it can make it likelier that your opponent dead draws or can’t draw another Pokemon allowing you to bench them out. 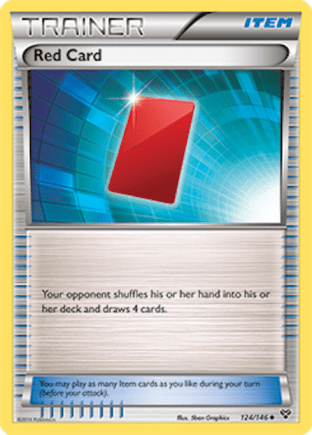 Red Card also seems very interesting to me as a skill based card in the sense that if your opponent gives away any body language that indicates that they have a good hand or don’t can effect whether you play the card or not. 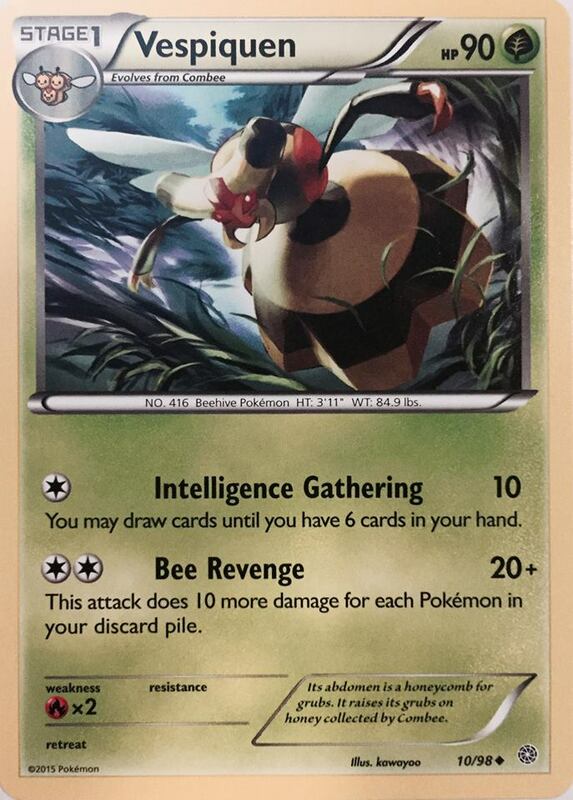 4 Double Colorless Energy – The deck only plays 4 Double Colorless Energy to be used with Bee Revenge. Limiting the Energy to so few allows everything in the deck to fit. A single Basic Energy would have been nice to use with Bunnelby when you want to use Rototiller so you don’t have to trade a DCE to get back resources. My swiss rounds went by very smoothly. The majority of the Swiss games I had to play out were very easy quick bench outs, or games where my opponent couldn’t draw into anything useful because of the Item lock leading to an easy win on prizes. The only tough game in Swiss was against the Dugtrio deck because of Jirachi discarding my Energy, but I was able to use Bunnelby for recovery to pull off the win. After starting 4-0, I was able to just ID my last two rounds. The Mewtwo decks were pretty difficult to overcome. A combination of having a lot of HP, the Damage Change attack, and/or having easy to power up attacks that OHKO’d Vespiquen made them some tough matchups. My Top 8 and 4 matchups were eye opening in that it showed me that in some matchups you need to ignore the Vileplume (especially going second) and just focus on getting enough Pokemon in the discard pile for OHKO’s on the Mega Pokemon. Not going for the Vileplume can let you focus on getting Combee’s benched and can let you avoid discarding key resources better allowing you to usually get out 4 Vespiquen’s attacking in that game if your prizes allow it. The finals match against Ben and his Yveltal/Zoroark deck was super close and went right down to the wire. I think I probably cost myself the third game on my second turn of the game. Ben had an Yveltal EX that was powered up and good to go for knocking out any Vespiquen in one hit. I wanted to get 15 Pokemon in the discard pile to OHKO the Yveltal EX and chose to discard two Vileplume in the process of powering up my Bee Revenge. I ended up hitting Vileplume/DCE on an Acro Bike, and had to take the DCE to have Energy to attack enough times in the game. This kept me from getting Vileplume out in the game which allowed him to get a Gallade onto the field the next turn which gave him the right mix of non-EX attackers (and premonition for draw consistency) to be able to win the game. I probably should have discarded one less Vileplume and discarded part of a Vespiquen line and tried to go with fewer Vespiquen in the game knowing how powerful the Item lock would have been in the matchup. Overall the tournament was still mostly a success. Second was a good result for the deck and I was able to replace a Top 8 finish with it to go up to 222 championship points on the season. This was one of the most fun tournaments that I’ve played in this season. It’s been awhile since I’ve been able to come up with a good rogue deck so it was nice to be able to get one to work out and make a deep run at a big City Championship. An interesting note from the tournament is that I ended up playing 3/4 of the US Nationals Top 4 from this past year, playing both finalists, Jason and Enrique, and then Ben who made Top 4 as well. I am not sure if the deck has any sort of long range viability as it has some obvious counters. The deck auto loses to an Aegislash EX, and Jirachi can be somewhat problematic if they can get one benched. It will be interesting to see if anyone can replicate a success with the deck in the coming weeks or if the deck was just the right deck played for that one tournament on the right day.